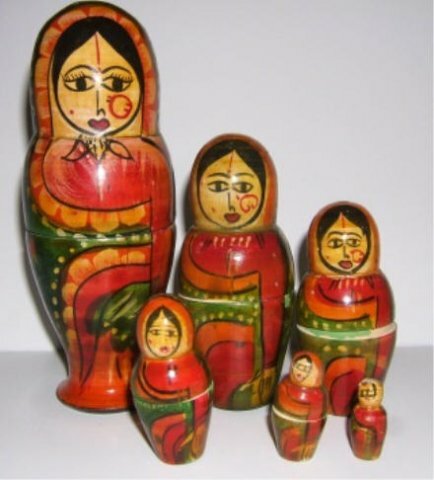 Two Nesting Dolls Male and Female from India. This set is a very unusual shape with narrow base. These dolls are very ill-fitting because the wood was not properly cured when they began making dolls like this in India. The female is complete, but the male set is missing some of the tops. The set came from an estate sale.